What exactly is Google Work? 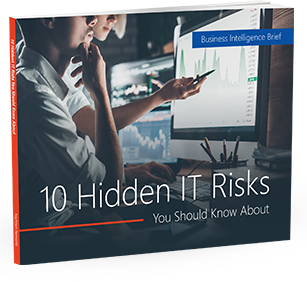 While Android is one of the most popular mobile operating systems out there, many business owners often view it as being not secure enough, or being difficult to manage. In an effort to make the system even more useful for businesses, and more secure, the company has announced a new program called Android Work which will be released with the next version of Android. What exactly is Android Work? Android Work is a program that is being developed by Google that will be introduced in the next version of Android – Android L. Because of the overall open and somewhat fragmented nature of Android, many businesses have been struggling to manage devices. In an effort to attract business customers, device manufactures have come up with their own business-centric suite of features that boost device security and manageability. While there are a number of options out there, Samsung has had the most success with KNOX. This is essentially a secure version of Android that can be managed by businesses. With devices running KNOX, administrators can separate personal and work features, as well as manage and secure business apps and content on a user’s device. The best way to think of this program is that it enables a completely separate business profile, that can be managed by a company, on a personal device. Users with a system like this will be able to separate work and personal apps, content, and data, but still be able to use the same device. This is what mobile experts refer to as containerization – business apps and data are essentially stored in a container that is kept within the overall Android system. Google found this idea of being able to separate personal lives and work on the same device to be something worth investing in, and have subsequently developed Android Work based on the KNOX platform. This will allow all Android users, not just users with Samsung devices, to take advantage of this program. When launched there will be a number of key business oriented features beyond just the KNOX support. Here are two of the most talked about. Containerization is usually referred to as creating a separate system on one device, kind of like having a work and personal profile on your computer. While this is great, it can be annoying to switch between profiles on your device. So, Google has decided to modify the way containers work, making them more seamless. With Android Work, IT will be able to install and manage apps on a user’s device – they have to agree to this of course. Only, these apps will appear on the device beside personal apps and will be useable just like any other app. In the background however, the Android Work managed apps will sit in their own container. This container will apply heavy encryption to related data going in and out of the device, and restrict what users can do with the app (based on whatever rules the IT admin has set). The key here is that while the apps and security are separate, the user will not notice any major difference and will be able to interact with both personal and business apps from the same profile. They will be able to tell the difference between work and personal apps as apps installed, managed or related to Android Work will have an identifying badge on the icon. With Android Work, IT admins or managers will be able to bulk purchase apps from the Google Play store and have them automatically installed on user’s devices. If you use separate apps, or have developed apps for use in-house, you will also be able to push these to devices. Beyond that, there will be admin panels that can push updates to apps on all devices, or even bulk manage existing apps. While the user will see no real difference, the apps in the Work container are managed by the administrator, not the user. Many business owners have been asking this question over the past few months, and the answer really depends on how you use devices in the office. If you support BYOD (Bring Your Own Device), you will be able to easily manage the apps, data, and security of just the business related apps, while still allowing personal apps and data to be installed on the same device. Companies who provide their employees with mobile phones or tablets will also find Android Work useful as it will enable easier management and enhanced security across a variety of Android devices. When will Android Work be available? As of now, Android Work is still in development, but Google has noted that it will be released as a feature of the next version of Android, which is slated to be released this fall. If you are looking to learn more about Android Work, or how to manage Android devices, contact us today to see how we can help.